Ryan Bell was born February 16, 1989 in North St. Louis Missouri. At the tender age of 12 he began to become addicted to hip hop music. Beat making on lunch tables to rushing home to watch B.E.T. and MTV music videos. Through these years he studied his favorites and became a student of the game. His influences consisted of Nas, Rakim, Jay Z and Kanye West. As a student of the game he began to write, sing, and rap. Rapping through homemade videos with friends, Ryan practiced his craft and began to perfect his craft every time he would spit a verse. Realizing his talent, Ryan stepped into the limelight on his own. Part of coming into his own was finally adapting to a stage name that he could be proud of and could represent. At this point of time “Riley B” was born and along with a new name a man with passion and dedication was born. Witty verses and metaphors filled his first official mixtape “Times Up” which was released in the summer of 2009. 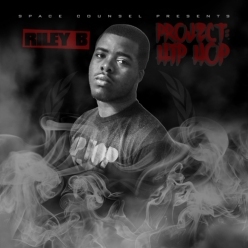 After a period of performing and perfecting his craft Riley B began to work on his second mixtape “Project: Hip Hop” which was finished and released in August of 2012. 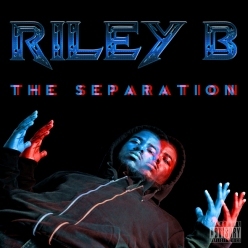 This was some of Riley`s best work to date, this project showed how much Riley has matured as a MC. 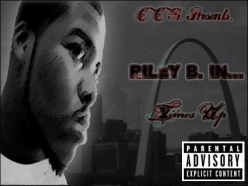 After the launch of Riley`s mixtape he began to promote himself and push himself into recognition for his hard work. Through the internet and performing around the country Riley is taking his career to the next level. With performances in Atlanta, Los Angeles , and numerous venues in St. Louis, Riley B has definitely shown he’s not to be stopped. Riley B had his Slumfest debut June 15th at the Atomic Cowboy and put on an amazing show to add to his resume. Riley B has received spins on the radio with his song “Real Rap” and he also recorded a video for his anthem of lyricism. Destined for greatness, Riley B aka the new found lou sound is grinding every day to reach his goal of being a hip hop superstar. While heading in the right direction, it is only a matter of time before he achieves his dream.